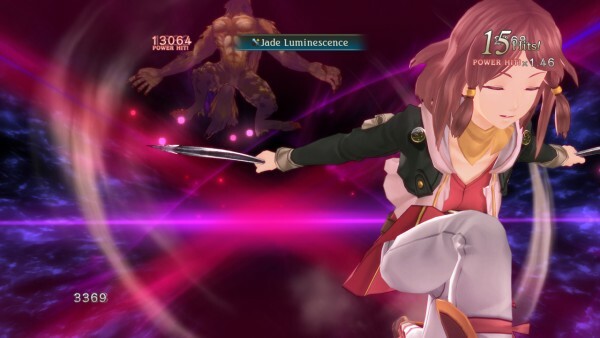 There are a number of series that fans of certain genre know will generally deliver a satisfying experience every time and for JRPG fans the Tales series is a near annual reminder of what the genre they have fallen in love with. With many prominent series making the jump to the latest console generation it is now time for the Tales series to do so as well, and with Tales of Zestiria Rnow available in the West, both for the PlayStation 4 as well as those lingering on the PlayStation 3, how does the fifteenth entry in the series make its mark? 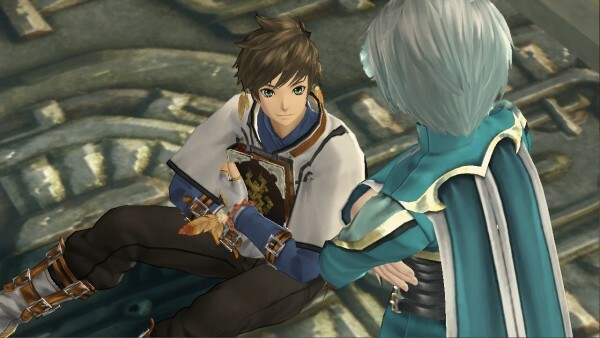 Tales of Zestiria takes place in a world where two kingdoms are constantly at war between one another, with the Hyland Kingdom battling the Rolance Empire while various guilds profit on the side due to the struggles of the world. Living in such turbulent times has caused a strange force to be generated in the world and this force has the power to transform everything, including the living and the dead, into monsters called Hellion. In this world however there are also two types of beings, humanity as well as the Seraphim, magical beings that can only be seen by humans that have a strong level of resonance. One such human happens to be named Sorey who has lived with the seraphim all his life, even being childhood friends with a water seraphim named Mikleo. 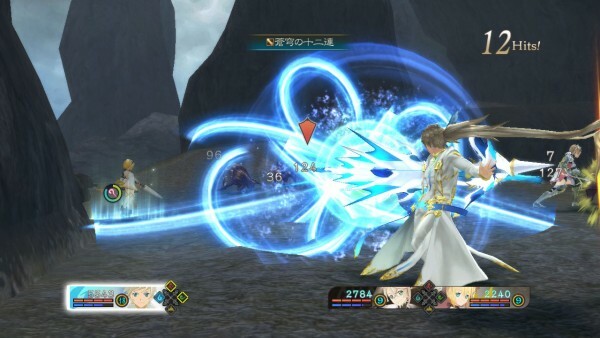 Despite living in isolation, Sorey and his friend manage to stumble upon a woman in trouble only for this woman to lead them down a path that will place Sorey in the shoes of a Shepherd, a man capable of fighting alongside the Seraphim and using their abilities to prevent the end of the world by cleansing it of the malevolent force bringing ruin to the land. 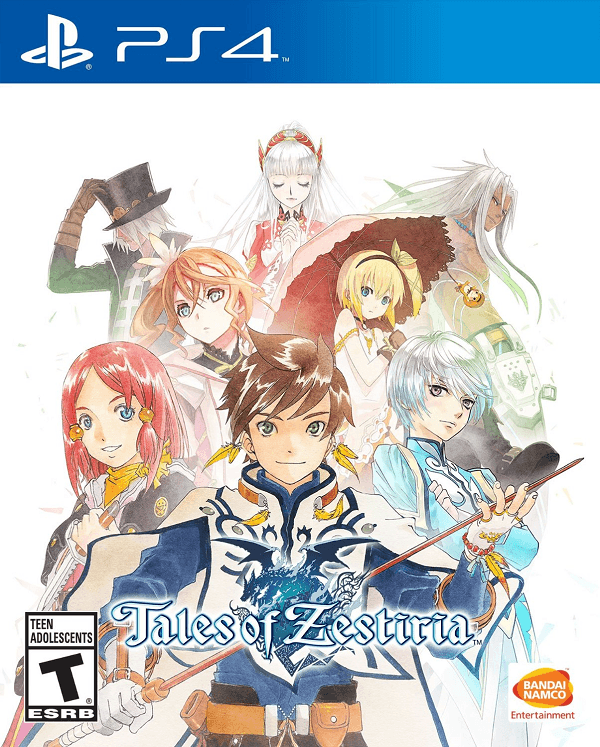 This is a return to form for the Tales series as it ventures back to its roots of being a strictly fantasy title in Tales of Zestiria as it moves away from certain elements previously found in Xillia. Players will find that Sorey’s journey has another staple from the series intact, and that is the incredibly slow beginning period. While necessary, the first six hours of the title feel like a chore but once you manage to get past that point things open up nicely with a number of reveals that give the simple seeming story more depth than it initially lets on. As for the characters, most of the cast is quite enjoyable and their interactions in the field, during battle victory scenes, and of course during the Skits help create a colorful cast with plenty of humor and personality. It is worth noting however that due to relatively sketchy storyline reasons, players shouldn’t grow too close to one of the first few characters in the game as she is given the boot and replaced by a separate character. While I found her replacement to have an interesting personality, though she does seem to contradict herself at various times, that manages to mesh well with the rest of the group after a short time, it is easy to understand that few may take issue with the replacement of a character that we’ve grown to enjoy with a sudden newcomer. 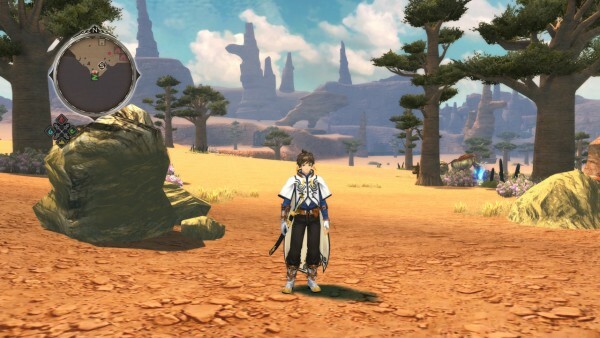 The release of Tales of Zestiria is the first one in quite some time that gives the player such an immersive feeling of having an open environment to explore. Almost every environment that players can venture through is given a massive field with plenty of unique objects to examine and items to collect and of course plenty of enemies to fight. Even little side-quests can be hidden in these environments that, when completed, provide players special skills that can be equipped onto their characters. By providing so much to do in the field players will find themselves really wondering why the series hasn’t managed to try this before as it is hard to imagine going back to the old style, especially since the dungeons make use of this same style. I say this because the dungeons in the game still feature very formulaic mechanics that are the exact opposite of open feeling, by forcing players onto strict bland corridors and implementing various simplistic puzzles in an effort to pad things out. 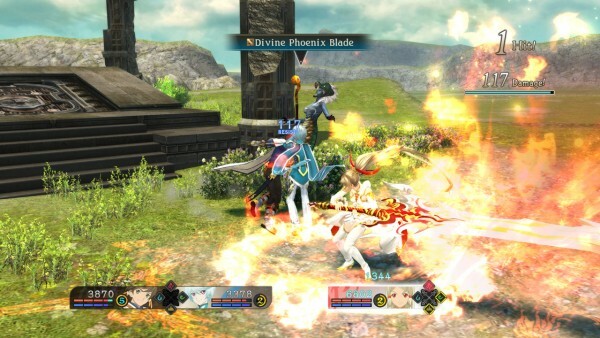 Of course while exploring players will find numerous enemies to fight and while Tales of Zestiria still makes use of the LMBS (Linear Motion Battle System) that the series is known for, it has been changed up a bit. Rather than being transported onto a separate field, enemies encountered, with advantages being given to the player if they strike first, in the field are sealed into that environment with the player’s party deploying as the enemies usually grow in number as well. It is worth noting that thanks to the storyline’s nature of featuring Seraphim and Shepherds, two humans and two Seraphim are allowed in battle at one time with each Seraphim being paired with a human. This does make party creation more restrictive than some fans of the series would like but it is also entirely possible to switch between Seraphim on the fly. To top that off, players can also make use of special transformations with their currently assigned Seraphim by triggering Armitization. Armitization allows a human to temporarily fuse with their Seraphim and gain a massive boost to their stats, a changed appearance, and unlock some new skills. This type of action can really turn a battle in the player’s favor but the developers did make it a bit more balance since it reduces the number of fighters on the field down a bit which can be a big negative at times, especially if the Armitized character is defeated. Other than that though players will find plenty of Artes at their disposal as well as numerous elements to customize their characters to prepare them for battle, in fact the customization may be a bit daunting at first but everything is introduced in a way that is easy enough to learn as players grow accustomed to fusing equipment together to create powerful armor and of course taking advantage of various passive skills and cooking in-between battles to provide special boosts. This creates plenty of ways to customize and deck out your party and possibly change up your strategy on the fly in a manner that will please many fans of the series. 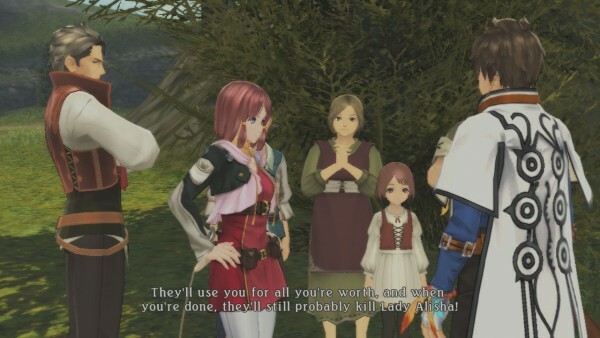 Now although Tales of Zestiria has been released on the PlayStation 4, it is readily apparent that this was not what Bandai Namco had been intending on. I say this because despite its transition onto the latest console generation Tales of Zestiria suffers heavily from both terrible pop-in rates when it comes to objects in the environment, but also some rather noticeable drops in frame rate come into play far too often to be ignored. Thankfully the character designs are still as lovingly detailed as fans will remember as each of the characters are excellently handled here. The same can be said about the environments players will be exploring as there is quite a bit of detail put into most of these landscapes, though some repetition does factor in here. The music for the series remains as impressive as ever with a number of outstanding orchestral tracks that appear from time to time as well as plenty of enjoyable common themes that are used throughout the game. As for the voice acting, the actors handle their character’s personalities well enough with the title supporting a fully voiced dub. Tales of Zestiria returns the series back to its somewhat simpler roots by basing its story around a boy from the forest who is tasked with saving the world but throws in plenty of details and enjoyable characters to keep things fresh after the initial slog through the beginning. Sure the title may not have seen a proper transition onto the PlayStation 4 here, but the revamped combat system and the new way that world exploration is handled breathe some fresh air into a series that continues to remain dependable.